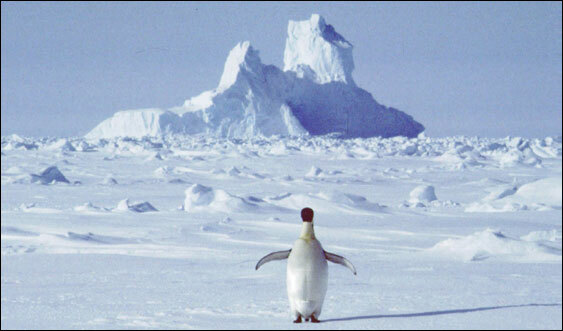 The most dramatic science news of the year came on a Saturday morning. It began with shaky images of contrails over Texas and reports that NASA had lost touch with the Space Shuttle Columbia. Soon it was clear that there was no hope: The craft and seven crew members were gone. The shuttle disaster on Feb. 1 was part of a year of depressing, and sometimes frightening, headlines. There was the SARS outbreak, which prompted serious discussions of using mandatory quarantines in this country. There was the brief and strange outbreak of monkeypox in the heartland. Other teams of researchers reported that the world's fish populations have crashed harder than anyone suspected, and that the whale slaughter was worse than we thought. And scientists have been increasingly disturbed at signs that the Bush administration is willing to play politics with science -- packing independent panels with pro-industry experts, suppressing or changing reports on missile defense and the environment, and intimidating researchers investigating controversial topics. Yet it was also a year of surprising and uplifting news. Local researchers showed that tea can help ward off infections, and that red wine contains a compound that helps prevent age-related diseases. Other scientists showed how meditation works in the brain to reduce stress, and the Dalai Lama led a conference in Cambridge, bringing brain scientists together with Buddhists monks and scholars. Even the Monarch butterflies, devastated by a freak storm last winter, bounced back. Every December, the journal Science, the most influential American scientific journal, publishes a list of top 10 "breakthroughs" of the year. It is their attempt to go behind the headlines and tell its readers what have been the biggest surprises to scientists. In a sense, the list is misnamed: Science doesn't typically happen in breakthroughs. But the list has a drama of its own, providing a glimpse into the new ideas that will shape the quest to know in the new year and beyond. MAP OF THE UNIVERSE: The more astronomers learn about the universe, the stranger it seems to be. This year, a solitary satellite brought the universe -- and its strange nature -- into the sharpest focus yet. 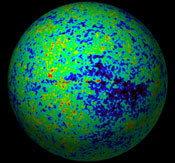 Called the Wilkinson Microwave Anistropy Probe (WMAP), the satellite made a map of the cosmic microwave background, a hum of radiation left over from the universe's earliest days. And from this, scientists were able calculate the most accurate age of the universe: 13.7 billion years. But the same set of calculations confirmed what has to be one of science's most embarrassing facts: most of the universe is missing. According to the scientists' calculations, only about 4 percent of the universe is ordinary matter, the kind that makes up our bodies, cars, and shopping malls. About 23 percent of the universe is made up of "dark matter," a mysterious form of matter that astronomers have lots of evidence for, but which physicists have yet to detect. This dark energy acts to push the universe apart -- a kind of anti-gravity -- and is thought to be the reason that the entire universe seems to be expanding faster and faster with time. In the equations that astronomers use in cosmology, dark energy is represented by a "cosmological constant" that Einstein threw out of his original equation and is now sometimes referred to as his "greatest blunder." "We are digging in Einstein's wastebasket," said Robert P. Kirshner, a Harvard astronomer who was part of one of the teams to show in 1998 that the universe is expanding ever faster. With the announcement of the WMAP results, some scientists have begun to talk about the beginning of "precision cosmology," the ability to answer fundamental questions about the universe with true scientific precision. The answers are getting more precise, but this will only mean more work because the answers are so very strange. GLOBAL WARMING: This was also the year that the study of global warming reached a new level of seriousness. There is no doubt that humans are having a profound impact on the planet's climate, and researchers have begun to measure the effects in varied ways. Some are less surprising, like the melting of glaciers around the planet. But they are also recording a host of subtle changes as plants and animals move and adjust to the new reality. IMAGING: One of the hottest areas of science right now is the confluence of biology and physics. Over the past year, scientists have shown they can follow a single molecule through a living biological system, promising new insights into how living cells work. ANGIOGENESIS: The work pioneered by Harvard's Dr. Judah Folkman has gone from outcast to hot to outcast to, finally, redeemed. This year came the news of success in clinical trials of a drug, called Avastin, based on Folkman's idea of angiogenesis -- that cancer tumors need to build their own blood vessels to thrive. The drugs stop the growth of these vessels. BENDING BACKWARD: Physicists are experimenting with potential uses, like new kinds of lenses, for a class of material that can bend light, and other kinds of electromagnetic radiation, "backward." Imagine a flat, clear surface, with light down at an angle from left to right. Normally the light would bend but continue moving left to right. These materials bend it but also turn it around, so it moves right to left. EGGS: Another potentially huge advance is the discovery that biologists can coax embryonic stem cells to become an egg cell or a stem cell. With refinements, this could provide a vast supply of eggs for research. GAMMA RAY BURST: Astronomers have identified the source of the universe's most powerful explosions, called "gamma ray bursts." Harvard astronomer Krzysztof Z. Stanek traced one of these bursts to a dying star. ESSENCE OF MAN: MIT scientist Dr. David C. Page announced the sequence for the Y chromosome, earning new respect for the genetic code that makes men. MENTAL ILLNESS: Using new tools from genetics, researchers are discovering how genes linked to diseases like depression can alter the brains of victims. RNAi: Last year, Science named a biological system called RNA interference the breakthrough of the year, and this year, remarkably, it is still on its top 10 list. 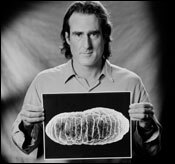 Discovered by Craig Mello, a professor at the University of Massachusetts Medical School, and another scientist, RNA interference is a system that cells use to effectively turn genes off and on, individually. It has been a boon for biological research, but it could also be a boon for pharmaceutical companies, and patients with genetic disorders. "Every year is a big year for RNAi," said Mello. "I think we could see the first drug trials next year."